I’ve never been water-boarded, thankfully, but I can’t imagine it’s much worse than the sleep deprivation experiments my toddler has conducted on myself and his mother for nearly two years. So when Bleep Bleeps, the company behind the Suzy Snooze night light, told me its product could help, I nearly wept. Suzy Snooze isn’t a crazy contraption that’ll change the way you think about parenting-tech, it’s a well-designed update on the traditional night light. 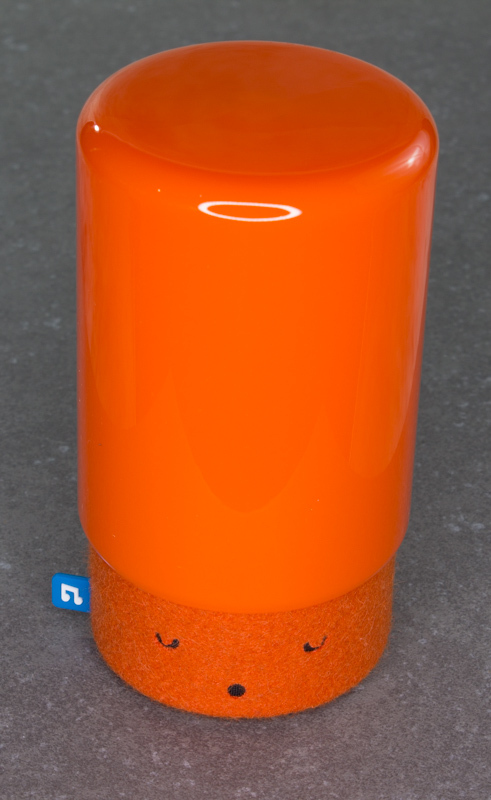 It features a soothing orange light, calming ambient music, and a built-in timer. Unlike other noisy night lights, this one doesn’t jangle out jarring noises, or pulsate with colors in hues that destroy your night vision. Everything about its craftsmanship is premium, from the quality of its internal speaker to the materials used to make it. The average baby sleeps through the night by about six months old. According to experts, some sleep through the night much earlier, and others may take as long as 12 months. Can you imagine spending an entire year being woken up by a screaming infant every single night? My son slept through the night for the first time at 20 months old. It was a glorious night his mother and I will never forget, but unfortunately it didn’t set a trend. The next night, and subsequent ones after, he was right back to his restless self. I started to convince myself that our sleepless hell would never end. What if he still didn’t sleep through the night when he was in high school? Would I have to fireman carry my teenage son as I paced up and down the hallway singing “Hush Little Baby” so he could get some rest before a big test? Thankfully, as the scattered remains of my sanity threatened to leave me like the distant memory of a forgotten dream, Bleep Bleeps entered my life and its Suzy Snooze night light helped my baby start sleeping through the night. Suzy Snooze isn’t a magical object that will somehow make your kids sleep with the push of a button. It’s a device designed to help parents develop positive bedtime routines with their children. It works with an app over WiFi, but can also be operated manually if your network goes out or you’re traveling. To begin, you simply press its large plastic top – dubbed a Magic Hat – to make Suzy Snooze light up and begin playing a soothing song. You can configure how long it’ll play music for in the app, but out of the box it plays for about 20 minutes. 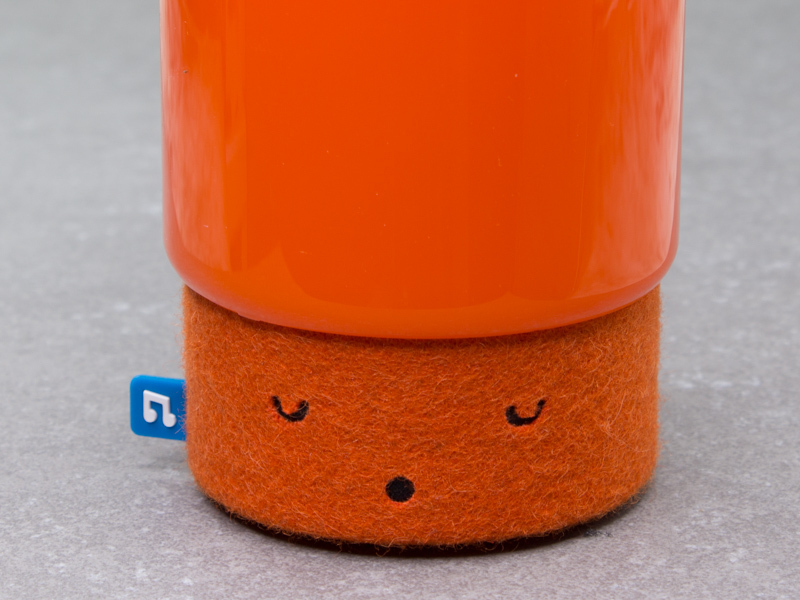 The orange light remains on after the music finishes, to help your now-soothed child stay asleep. You can’t change the light’s color, but orange was chosen for a good reason. It’s a very soothing color, it’s also easy on the eyes and won’t ruin your night vision if you need to get up and check on your child. 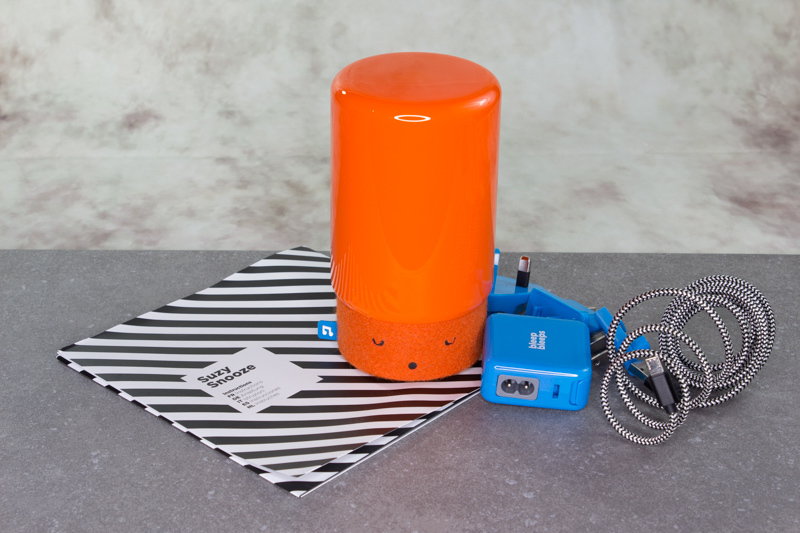 Suzy Snooze can also be configured to help train your kids on wake-up routines, by slowly lifting its Magic Hat in the morning to signal when its time for them to get out of bed. 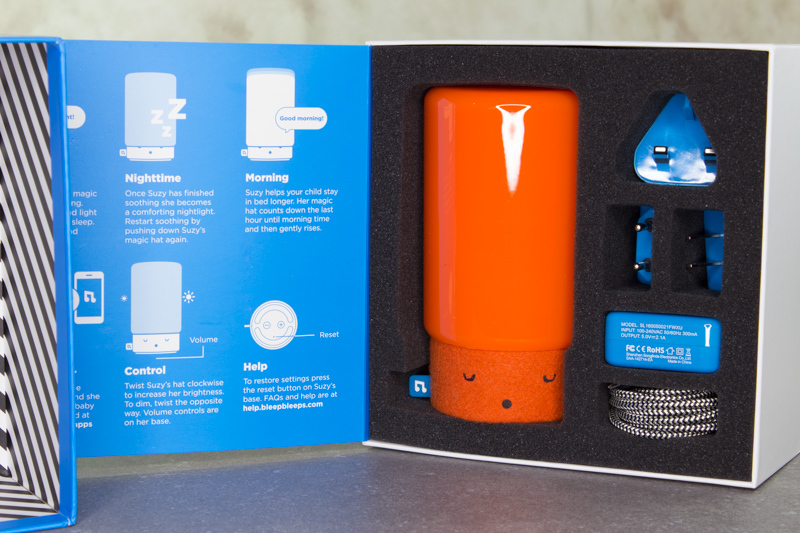 It’s sort of a reverse alarm that aims to keep your kids in bed until it’s time to get up. I didn’t get the chance to test this function because my toddler isn’t quite ready for that yet. One of the device’s best features – despite the fact I won’t use it often – is its ability to function as an audio baby monitor. If you don’t care about having video, it works quite well. The audio is clear and the app is easy to use. While I won’t use this at home – I use video baby monitors – it will definitely save me some luggage space when I travel. With Suzy Snooze I can feasibly travel with just one bedtime gadget instead of three. It effectively replaces a night light, lullaby or white noise player, and baby monitor. Suzy Snooze is advertised as a product that helps parents establish sleep routines for their children. It works. Before we used it, our son had only slept through the night once. Now, he only wakes up in the middle of the night a few times a week. Every kid is different, and I can only testify to its effectiveness in helping us develop a night time routine for a toddler, but I’m a fan. 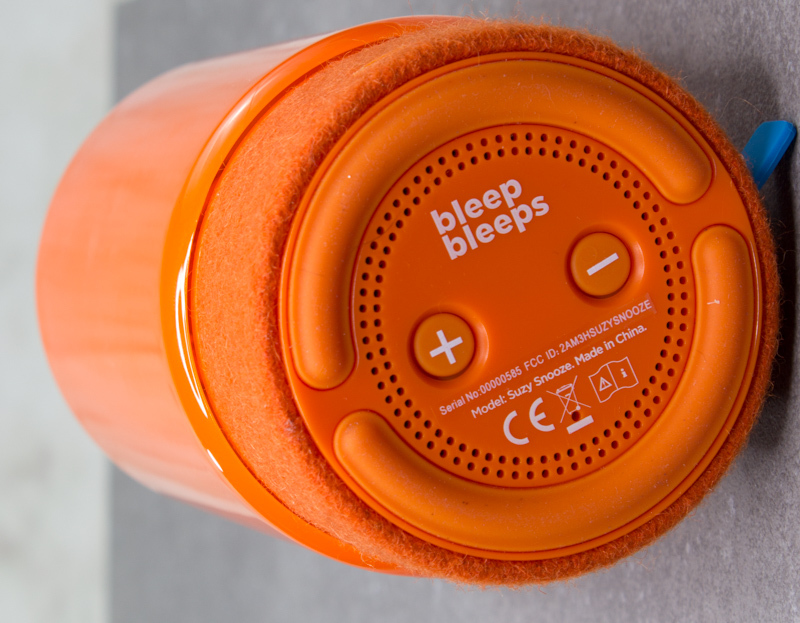 Bleep Bleeps offers a 30-day “no questions asked” guarantee that allows you to return the product if you don’t like it. I definitely recommend my fellow sleep-deprived parents give it a shot. You can pick one up on the Bleep Bleeps website for $135. Sometimes we publish paid reviews, but we always mention it when we do. This isn’t one of them.